Palaweños can now enjoy the first deluxe theaters in the province with the opening of the SM Cinema Director’s Club Cinema, plush movie houses with automatically-reclining leather seats, an exclusive food menu, and a dedicated butler. SM Cinema’s 60th branch nationwide, the Director’s Club, located at the SM City Puerto Princesa along Malvar Road offers a different kind of adventure with five theatres—three digital cinemas and two Director’s Club cinemas—to form the biggest chain of movie houses in Palawan, to date. The Director’s Club Cinema boasts of an intimate and totally-convenient movie watching experience with 48 LA-Z-Boy-type recliners per theater. With an uncompromising screen size, top-notch sound system, and meals served to movie patrons at a push of a button, the Director’s Club Cinema is the ultimate chillax activity. 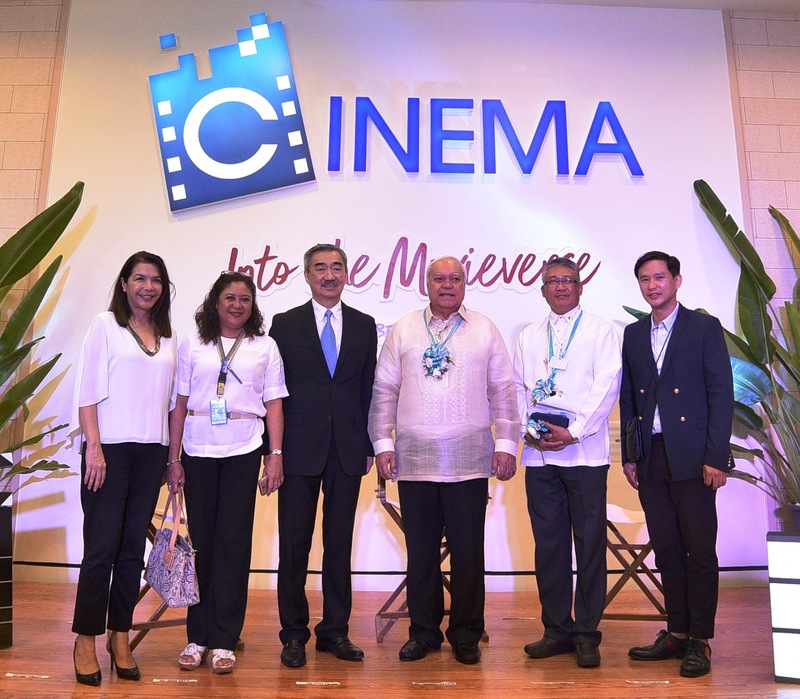 Puerto Princesa City Mayor Luciro Bayron (4th from left) and Palawan Vice-Governor Victorino Socrates (5th from left) led the opening of the Director’s Club Cinema inside the SM City Puerto Princesa. Joining them are (from left) SM Lifestyle Entertainment, Inc. SVP for Cinema & Exhibition Anicia Naval, Department of Tourism Director Aileen Amurao,SM Prime Holdings, Inc. Adding variety to the Palaweños’ movie experience, SM Cinema will also have three digital cinemas with wall-to-wall screens and top-quality surround sound systems. The cinemas can each accommodate 156 patrons at a time, creating an undisturbed and relaxed space for movie adventures with friends and family. Take a break and see the latest movie in the newest entertainment destination in Palawan, the Director’s Club Cinema. For more information, like and follow @SMCinema on facebook or visit www.smcinema.com.